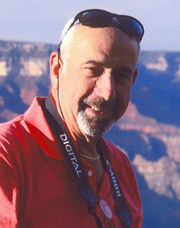 Vince is the Founder and President of EAST. He is an automotive technician turned trainer with over 35 years of hands-on experience. He was GM factory trained at the GM Moorestown NJ Training Center. Vince was a flat rate "A" technician for Oldsmobile, Pontiac, and Buick dealerships in the Delaware Valley area. He also owned and operated Total Car Care, a combination facility Auto Repair and Body Shop. In the early 1990’s, Vince joined ASPIRE, Inc. and was instrumental in the development of the EDGE training programs – chosen for emissions training in nearly 38 states. His work at ASPIRE also became the basis for Snap-On’s Emission Solutions series and Standard Motor Products’ Advanced Emission Diagnosis program. With over 55 years in the industry, as a technician, diagnostic road tester, and shop foreman, Paul spent 17 years as Senior Vice President, Lead Instructor, Research & Development, Production and Training Manager, and QA/QC manager for ASPIRE, Inc. 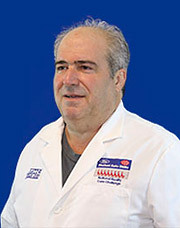 He has been a pioneer in modern techniques of training in the automotive service business. He has been personally responsible for new course curriculum development and training methods being used throughout the industry. He was in charge of production for the Systems Theory, Advanced Systems Theory, Fast PASE, FIRST and EDGE, NY ATTP, National ATTP, Fluke 97 Scopemeter, Fluke 88/87 Programs and many others. He has written and produced training materials for clients including Exxon, Sun Electric, Snap-On, Mobil, Chevron, MACS, Sunoco and others. He has produced (from both sides of the camera) dozens of hours of video and numerous student training guides, and has written and contributed to automotive textbooks, trade periodicals, and SAE papers. 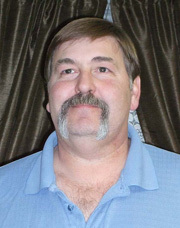 Fall 2004 awarded ATMC "Member of the Year"
Jeff has served in the automotive industry for over 40 years. He has worked as a Lead Technician, Manager of Vehicle Services, Store Manager and Technical Trainer. During his 25 year career with Firestone Complete Auto Care, he was instrumental in developing and delivering numerous training programs. Jeff's work with Firestone earned him the prestigious Bridgestone President's Award (twice) and the exclusive Bridgestone CEO Award. He excels in developing young technicians to become ASE Master Automobile & Light Truck Technicians with L1, Service Managers, and Store Managers. 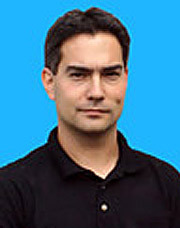 Jerry has been involved for the past 29 years with research and development, training and technical assistance. His experience and ability over this time period have allowed him to manage a customer relations department including product sales, promotional information, database management, as well as processing national and regional automotive testing and certifications. 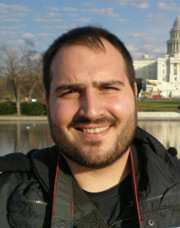 He is recognized as an outstanding technical expert and communicator. 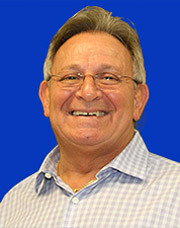 Roland has over 45 years of experience in both new and aftermarket car dealers. 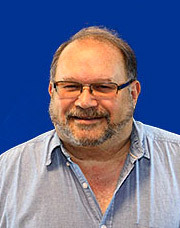 He has taught for 8 years at the Northampton Community College in Bethlehem, PA and is an Adjunct Professor of Automotive Technologies, teaching credit courses in Engines, Brakes and Suspension Systems, Basic and Advanced Automotive Electrical & Electronics Systems, PA Inspection and Emission Certification, A/C and Heating Systems, Automotive Fuel Systems, Tune Up and Diagnostic Procedures, and Automotive Mechanical Drive Train Systems. He has worked for Vetronix, Bosch Diagnostics Group doing Sales and Technical Support for parts of Pennsylvania, New Jersey, New York and Connecticut. When he is not instructing, he spends his time working as a mobile automotive technician, initializing and programming modules, diagnosing driveability complaints, electrical system failures, DTC diagnostics, and enhanced emission failures for his past and present customers. 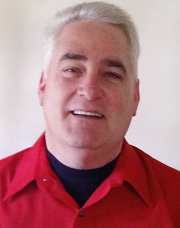 Anthony is an Automotive Professional with 40 years of experience as a Technician, Instructor and Manager, with Bridgestone/Firestone Corporation. While serving for 17 years as both an "A" Technician and a Manager of Vehicle Services (MVS), Anthony was awarded numerous Customer Satisfaction and Bridgestone "Certified Excellence" Awards. He also served as a District Technical Trainer for 22 years and instructed technicians and sales personnel on new automotive systems and concepts. While working with BSRO Corporate Education Managers, Anthony designed and implemented training courses for new technician teammates on Brakes, Steering & Suspension, Alignments, Heating & Air Conditioning, Starting & Charging Systems, and Engine Performance. He also prepared technicians for ASE certification, and also served on the Bridgestone/Firestone Northeast Zone Loss Prevention Council. As a member of the Technical Advisory Board at Lincoln Technical Institute in North Jersey, Anthony has had the honor of being the Industry Keynote Speaker at LTI Graduation Ceremonies. He holds multiple ASE certifications, is a MACS Certified Technician and a Mobile Air Conditioning Society Worldwide Certified Instructor. Trained at the Hartford Technical Institute, Joel has 5 years dealership experience (GM, Ford, Lincoln/Mercury), and 10 years in the aftermarket. Three of those years were spent as shop Foreman. He was the lead trainer in West Springfield for the Massachusetts enhanced emission program, and has taught over 600 students in those programs. Joel was a student of EAST training for three years, and assisted Vince in teaching classes in New England, before becoming a full time EAST instructor. When he is not instructing, he is helping shops with difficult to diagnose vehicles (electrical, driveability, & enhanced emission / OBD II failures). Michael graduated from Rowan University with a degree in Communications, with a Specialization in Radio, Television, and Film Production. He worked on television and film production in and around the Philadelphia market and held multiple positions on productions ranging from commercials, television programs, and even big-budget Hollywood movies for ABC, Dreamworks Pictures, The Food Network, and NFL Films. Now working with EAST as a full-time Training Manager, Mike is relied upon to coordinate the everyday logistics necessary for our classes to run smoothly out in the field. Whether he is in the office or on the road, Michael does whatever he can to support the entire team here at EAST. When he is not assisting our trainers in the field, Mike brings experiences from his previous career to assist Paul with producing multimedia projects to enhance our training programs. Bill Rosenberg was born into the automotive business. His father had a gas station and parts house in Monticello, NY in the 1940's. 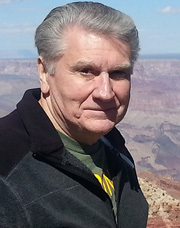 He began his career in the aftermarket in the mid 70's as an outside salesman for an auto parts warehouse distributor. In 1983 he joined BWP Distributors, a CARQUEST member, as a Warehouse Salesperson and rose through the ranks to become Sales Manager, Vice President of Sales & Marketing and eventually Sr. VP. During this time he also served on several CARQUEST national committees, one of which was Training. Bill was an early supporter of training. It began with sales and counterperson training for the automotive jobber and corporate associates. He has authored and delivered customized training to thousands of aftermarket personnel including a major program addressing Quality Customer Service. In the late 90's his passion for training expanded to the automotive technician. Out of collaboration with EAST Training, he was part of a team that put together the early "Region" concept which brought technical training within reach of the average technician, no matter where they lived. He continues to write and consult on issues of training and customer service.